Do you have something in your closet that you always planned to wear one day, but that you still find sitting there with the tags on? Don’t be ashamed, we have ALL been there, girl! Today, I can proudly share that the day has come when one of those little numbers saw the light. (Slow clap 👏). I bought a fringe skirt several months back with every intent to wear it. During the summer, I even attempted to do so on multiple occasions, but found myself overheating due to its suede material. Now that temperatures are cooler, however, I finally cut the tags — And I’ve worn it out more than just this once, might I add. Given the length and style of the skirt, I chose to style it with a top that showed a bit more skin and added some color. This off-the-shoulder top also spruced up the playfulness of the skirt with its own tier. Given the drop in temperature, a warm jacket was a must, and my shearling-lined coat was my go-to pick. As for hair, I wanted to show off my collarbone and shoulders, so I threw it up into a messy bun with loose stands framing my face. 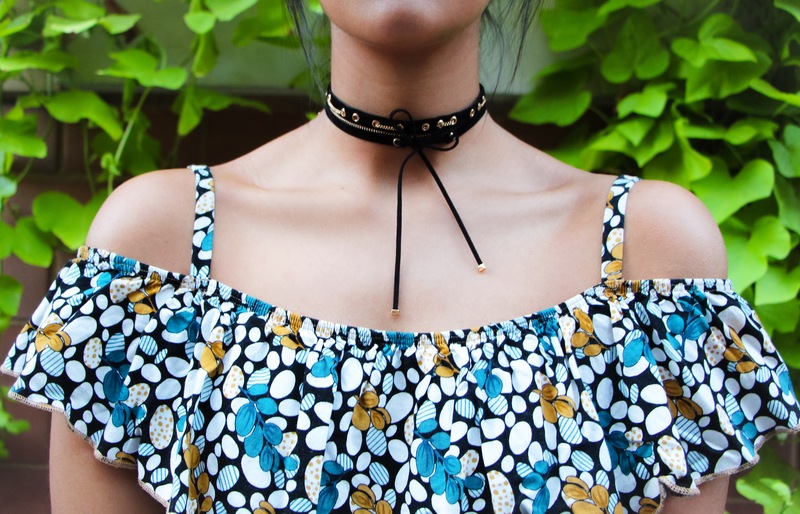 No outfit is complete without my favorite accessory, a choker. I selected a thicker one to offset the amount of skin exposed; this gold chain and velvet combination seemed like the perfect option. I kept the gold tones as a base for my bag, sunnies, and jewelry. This look had me fringing out and doing a little dance on the street, because how could you not? Check out why and if you’re looking for a similar look, I’ve tagged everything you’ll need below. 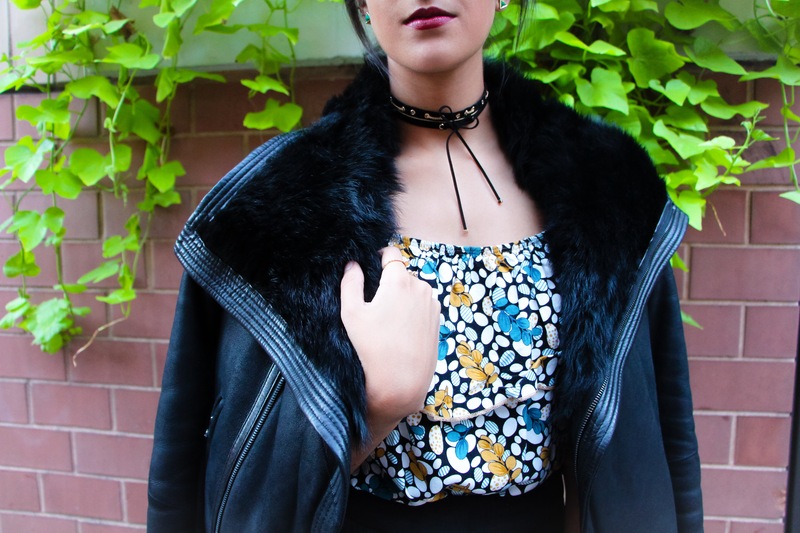 Really lovely outfit and great post! Nice blog post. Hope to see more.👍 And please do check out our page also. Love this look! That fringe is everything! I have a fringe belt like it! Love this look! What a fun skirt? Also, your jacket is amazing!! This fringe skirt is to die for! It’s literally perfect on you!